Define and explain petty cash book. What is the imprest system of petty cash? What are the advantages of Imprest system? Prepare a petty cash book. In almost all businesses, it is found necessary to keep small sums of ready money with thecashier or petty cashier for the purpose of meeting small expenses such as postage, telegrams, stationary and office sundries etc. The sum of money so kept in hand generally termed as petty cash and book in which the petty cash expenditures are recorded is termed as petty cash book. In large business houses , the cashier has to handle every day a large number of receipts and payments and if in addition to this he is further saddled with petty cash payments, his position becomes embarrassing. Besides, it is most common to find with large commercial establishments that all receipts and payments are made through bank. Since expenses like postage, telegrams, traveling etc, cannot be made by means of cheques, the maintenance of a small cash balance to meet these petty payments becomes all the more necessary. A petty cash book is generally maintained on a columnar basis – a separate column being allotted for each type of expenditure. The is only one money column on the debit side and all sum received from time to time by the petty cashier from the chief cashier are entered in it. The credit side consists of several analysis columns. Every payment made by the petty cashier is entered on this side twice – Firstly it is recorded in the total column and then to the appropriate column to which the expense is concerned. The total of the “total column” will naturally agree with the total of all subsidiary columns. The difference between the total of the debit items and that of the “total column” on the credit side at any time will represent the balance of the petty cash in hand and this should tally with the petty cashier’s actual holding of cash. The posting from the petty cash book to the respective accounts in the ledger are made directly in total at the end of every month or any other fixed period. The more scientific method of maintaining petty cash so for introduced into practice is theimprest system. Under this system a fixed sum of money is given to the petty cashier to cover the petty expenses for the month. At the end of a month the petty cashier submits his statement of petty expenses to the chief cashier. The chief cashier on the receipt of such statement refunds to the petty cashier the exact amount spent by him during the month, thus making the imprest for the next month the same as it was at the beginning of the current month. It is to be noted that the amount of cash in the hands of the petty cashier is a part of the cash balance, therefore it should be included in the cash balance when the latter is shown in the trial balance and the balance sheet. It should also be kept in mind that petty cash book is not like the cash book. It is a branch of cash book. 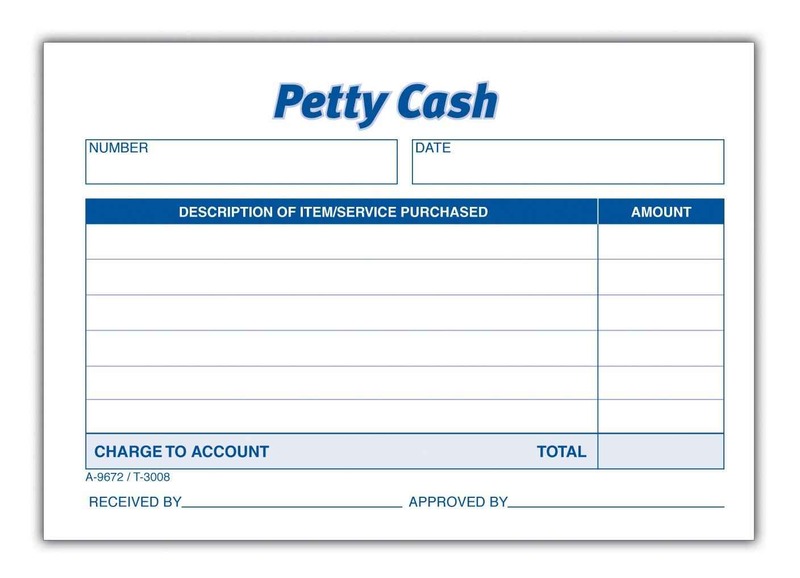 A s the petty cashier has to produce to the chief cashier the petty cash book for inspection, it acts as a healthy check on the petty cashier. As the petty cashier has to account for his expenses, before he can draw further sums, the petty cash book remains up to date. As the petty cashier cannot draw as and when he likes, it prevents unnecessary accumulation of cash in his hand thus the chances of defalcation of cash are minimised. Amount Received Date Particulars V.N. Total Postage Printing and Stationary Cartage Traveling Expenses Misc. What are (3) purpose of disclosure notes in the financial statement and what are credit entry for petty cash book. Its vry easy…and so simple..really tysm..!